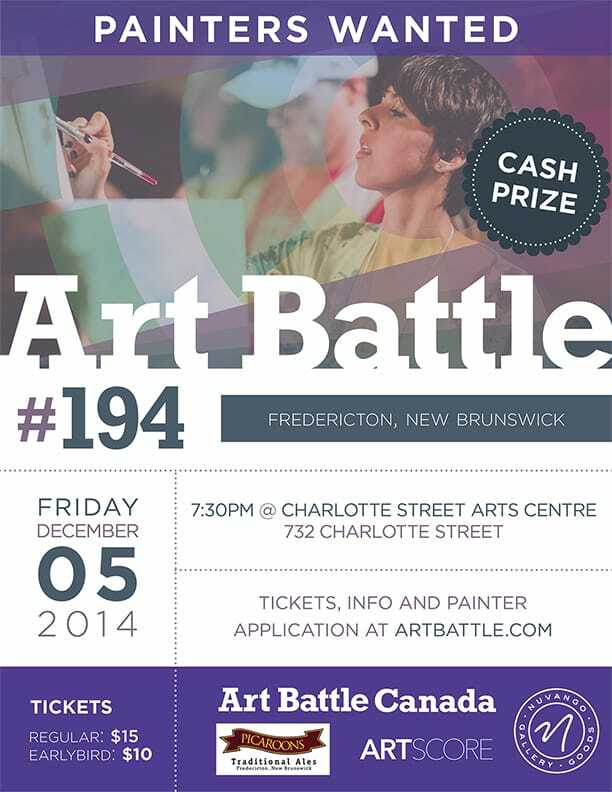 Art Battle returns to Fredericton NB! Join us on Friday December 5th for the first event of the season. 12 painters will compete for the title of Art Battle Champion and a spot in the Provincial Finals in June 2015.